Great geographical discoveries triggered the many expeditions in which European ships traveled around the world in search of new trade routes and new partners that would enable the expansion of capitalism in Europe. The 15th Century was a time when the first European sailors started to draw maps of newly discovered territories and you could only imagine the excitement around such fantastic events. Great sea wolves finally learned that the Earth is not standing on a plate but a globe, and some 6 centuries later Thunderkick’s designers used such hype as an inspiration for a pokie machine. Thunderkick is a relatively young gaming company who deliver the most unique and quirky pokies to growing and market. 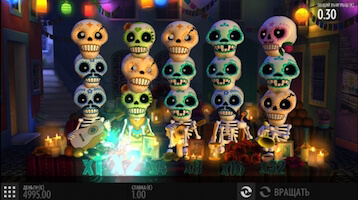 Their games are powered by the Unity software, which makes it possible to play on a range of different platforms, including both desktop and mobile. 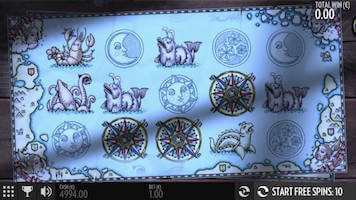 1429 Uncharted Seas is their first medieval inspired pokie with map-like drawings and themed sounds. 1429 Uncharted Seas is a 5-reel 3-row video pokie machine with 25 paying lines filled with innovative visual and sound effects. 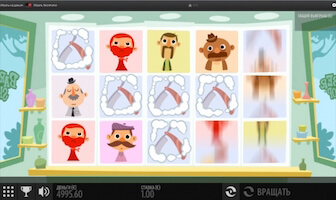 The game features rewarding wild and scatter symbols, as well as free spins bonus rounds. 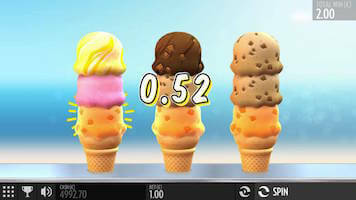 With its simple yet intuitive gameplay, the game offers more than a few chances to collect a large number of coins. The gaming screen looks like a classic but beautifully designed map from the Middle Ages, packed with themed icons and interesting background music, complete with bells, cannon blasts and cracks of thunder. 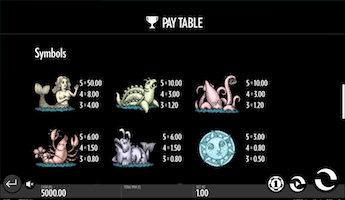 The selection of themed symbols includes mermaids (the highest paying symbol which offers payouts of up to 50 times your stake), ships and other interesting underwater creatures as well as the sun, moon and stars – all things that you can actually associate with sea and ocean. The best chance for a sizeable win is through several 5 of a kind wins using a bunch of the expanding wilds. Expanding Wilds are a specialty of the Thunderkick designers and this feature gives you a fantastic chance to increase your winnings. When you form a winning combination with a ship symbol that appears on any of the 3 middle reels (reels, 2, 3 or 4), it will became an expanding wild and fill the reel with more wilds. This way you will really boost your chance for a big win. Collect 3, 4 or 5 compass symbols and the game will award you with 10, 20 or 50 free spins, respectivelly. The best part is you can re-trigger this bonus round if lucky enough to collect more scatters during a free spins round. The maximum number of free games you can play here goes all the way up to 100 and you can collect the jackpot prize sooner than expected. The game’s top prize is a 1.000-coin worth jackpot, accompanied with a variety of betting options that will eventually determinate the amount of money you can score while playing the 1429 Uncharted Seas. You can bet from $0.10 to a maximum of $100 per line, per spin, making your maximum bet of $2.500 – we can only argue if that amount is sufficient enough to call this game very rewarding. 1429 Uncharted Seas is one of the many pokies set in the scenery of the high seas, but unlike the many pirate-themed games that were designed in a cartoon style, this is a pokie machine focused more on the early years of seafaring exploration. In addition to the interesting gameplay and a variety of betting combination, this multi-platform game offers a sizeable non-progressive jackpot prize, which makes it a good choice for players of different experience levels.